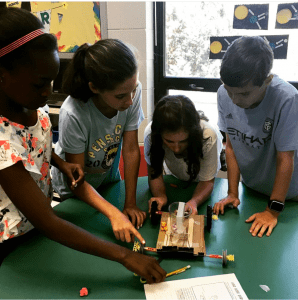 Lora Haghighi received a grant of $1,066.02 to make her fifth-grade students feel like NASA engineers. Photo by Ingrid Howard. 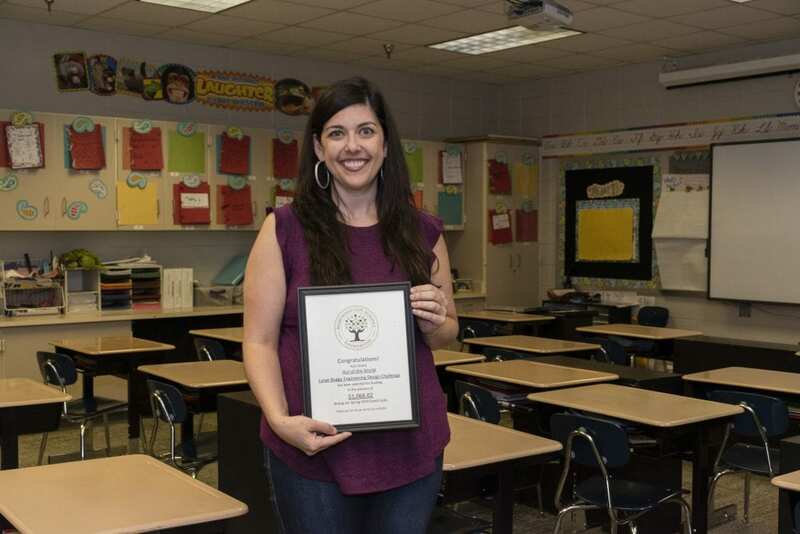 A Homewood teacher found out earlier this month that she had received a grant from the Homewood City Schools Foundation of $1,066.02 to make her fifth-grade students feel like NASA engineers. Using the grant, Lora Haghighi and other fifth-grade teachers at Edgewood Elementary School will be able to afford the materials that students will use to build miniature versions of the Mars rovers. Haghighi has tried this project in the past, but there weren’t enough materials for all the fifth-grade classes to take part. Without the grant, Haghighi said, the teachers wouldn’t have been able to continue doing the project. Now, Edgewood Elementary has seven sets of materials that can be reused each year – one set for each fifth-grade class. The project begins with the students watching videos of the lunar buggy. Even though some of the videos are old and in black and white, Haghighi said they get students excited about the project. The students have to have some background knowledge of wheels and axles. They start with a cardboard base and can use craft materials such as dowels, skewers, popsicle sticks and pipe cleaners to build their rovers. Each rover has to transport two astronauts. The rover also must carry a payload. In the past, Haghighi has used an Easter egg and pennies to represent the rocks that the Mars lunar buggies had to bring back. Then students have to attach the wheels. Haghighi said this is a challenge because the students can’t destroy any of the materials during construction. The rovers must be able to be deconstructed at the end of the project so future classes can reuse the materials. When the buggy is complete, students test to see how far it can travel by sending it down a ramp that Haghighi’s father built for her class. A group of students work on their buggy from Haghighi’s first attempt at the project. One thing Haghighi said she enjoys about this project is how the students work hard to make their buggies perfect. The grant helps pay only for materials for the rovers, but students will also construct a landing pod that has parachutes and padding to keep the rover safe upon impact. Unfortunately, not all rovers in the past have landed safely. Haghighi said that after the project is over, a lot of her students say they want to be aeronautical engineers. “It’s really funny to think about these kids with this completely different focus, how the trajectory of their careers might change,” she said. To learn more about Homewood teachers who received grants this spring, visit homewoodcityschoolsfoundation.com.